At the start of 2009, we shared a story concerning the sale of beer in Colorado. There was legislation in the mix to allow the sale of full-strength beer at grocery and convenience stores. Currently, only beer lower than 3.2% can be sold. This bill did not pass, but talks have recently re-surfaced. Full strength beer is only allowed to be sold at licensed liquor, beer and wine stores in Colorado. House Bill 1192 was defeated in March, opposed by some Colorado craft brewers and many liquor store owners. Beer is available for purchase at grocery stores, but only lower strength beer – aka Near Beer. Near Beer is beer, but must be under 3.2% Alcohol by Volume. For comparison, most normal strength beers range between 4.5% and 6.5% ABV. Session beers are commonly below 3.5% ABV and are marketed as “mass consumption” beers. Aside from Colorado, five other states have rules governing sales of 3.2 beer: Kansas, Minnesota, Missouri, Oklahoma and Utah. Ironically, 3.2 beer is not much different from many regular domestic lagers on liquor store shelves. The alcohol content of regular beers is measured by volume, while with 3.2 beers itâ€™s measured by weight. Coors Light and Bud Light, for example, have an alcohol content of 4.2 percent by volume, according to Realbeer.com. If 3.2 beer was measured the same way, its alcohol content would be listed at 4 percent. The state had banned Sunday liquor sales since the repeal of Prohibition in 1933. I understand that this will take sales away from the liquor stores, but I think that this is a great opportunity for Craft Breweries. In Mass, many grocery stores can not sell beer or wine, unless they have been grandfathered in. But, we are on the border of NH â€” who is able to sell beer in grocery stores. The grocery stores are helping to keep the craft breweries stay afloat â€” if you can get into them. 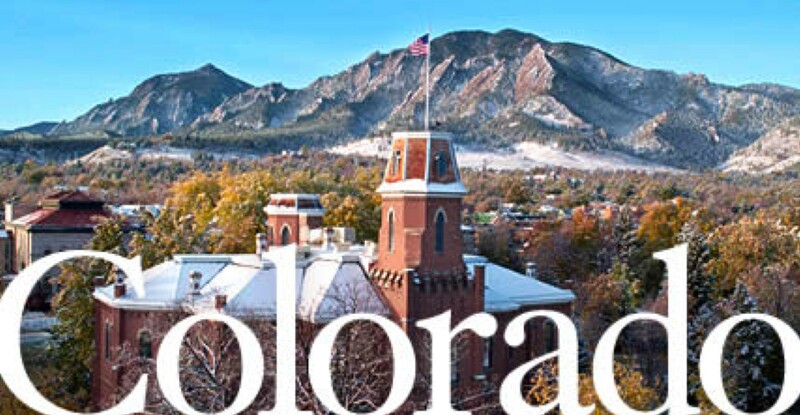 Knowing that Colorado is one of the MAJOR craft beer producers in the US, this could be a boost for the breweries to increase their production and expand their operations. Yes, this will increase the availability of macro breweries, but I see this more as an opportunity than a threat. For the liquor stores, you can still stay afloat. Differentiate yourself. Sell specialty beers that are not available anywhere else. Provide education seminars and organize local beer events. Grocery stores and convenience stores could set aside 5 percent of shelf space for sales of full-strength beer and wine. Liquor store owners would be able to sell non-perishable food items on 5 percent of their shelf space..
At least 20 percent of space reserved for alcohol in grocery and convenience stores must be set aside for craft beers and boutique wines (to address concerns of the Colorado craft brewers). I feel the lines between the small mom-and-pop liquor stores and grocery stores have already been drawn a long time ago. Certainly sales will be affected at local liquor stores but I believe craft beer buyers will still choose to head to a liquor store to get a much better selection in craft beer. I just don’t believe chain stores will stock a good selection of craft beer. At least liquor stores would be able to start selling a small amount of cheese, chips and other food. If anything, grocery store sales could help boost beer sales, not limit them. Sure, the big chain stores might not have the same taste in beer selection that liquor stores have, but if they do happen to have a 6-pack of the craft beer I’m looking for then ya, I might buy it there. But chances are, the small space that would be reserved for local craft beer will be generally limited. The big macro beer companies are probably chomping at the bit to get this bill passed. It’ll definitely mean more sales for BudMillerCoors type beers….. This is a very touchy topic.Â There will be winners and losers if this re-visited bill passes. It is understandable that the smaller beer/liquor stores – which currently sell the normal strength beer – will be unable to compete with the purchasing capabilities of the larger grocery stores. It is possible that their sales would decrease, but there’s also a chance that it would increase. When more craft beer available to the masses (in the grocery stores), more consumers may switch to a higher priced craft beer – rather than a less complex mass produced beer. p.s. We welcome both positive and negative comments on our blog – please share your opinions.